‘Can I drive the car?’ is a familiar refrain for most parents. But in dealing with this issue of control, trust and training, is there a lesson to be learnt, a lesson that can be applied by leaders in the business environment? 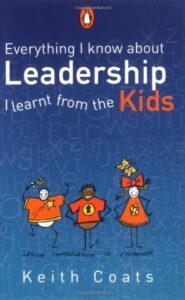 The author has written a title that draws on everyday events in the life of his family, pointing out how these experiences translate into important lessons in leadership. Whether they are issues of control or communication, inspiration or loyalty, or simply getting through the tough times, Coats explores the universal lessons we learn as parents and shows how to apply them in the boardroom, the office or the factory.